For years our firm’s community association attorneys have been counseling and working with our association clients to complete their own foreclosures in advance of the lenders, which have often been slow to act on their foreclosure cases. The recent decision by the First District Court of Appeal reinforces that associations which complete their own foreclosures and acquire a certificate of sale via foreclosure auctions cannot be forced to sell the property back to the original owner due to the owner’s right of redemption. At any time before the later of the filing of a certificate of sale by the clerk of the court or the time specified in the judgment, order, or decree of foreclosure, the mortgagor or the holder of any subordinate interest may cure the mortgagor’s indebtedness and prevent a foreclosure sale by paying the amount of moneys specified in the judgment, order, or decree of foreclosure, or if no judgment, order, or decree of foreclosure has been rendered, by tendering the performance due under the security agreement, including any amounts due because of the exercise of a right to accelerate, plus the reasonable expenses of proceeding to foreclosure incurred to the time of tender, including reasonable attorney’s fees of the creditor. Otherwise, there is no right of redemption. The statute applies to lender foreclosures as well as association foreclosures. In the recent case of Waterview Towers Yacht Club Owners’ Association v. Saeid C. Givianpour et. al., the association filed an appeal to challenge the trial court’s ruling that granted the delinquent unit owner who had lost his property to foreclosure the right of redemption. On April 9, 2013, the association filed a suit to foreclose a claim of lien for condominium assessments owed by the unit owner, and on March 7, 2014, it was granted a final judgment ordering the property owner to pay the total amount owed or the property would be sold at public auction. Subsequently, on April 11, 2014, the clerk of court filed a certificate of sale, and the unit was sold at public auction to the association. Surprisingly, on April 16, just five days after the foreclosure sale, the property owner obtained a loan for the full amount of the judgment and sought to pay it to the association, which refused the offer. The former owner then filed a motion to enforce redemption of the property and, apparently without explanation, the trial court granted the motion to enforce redemption. Here, in accordance with section 45.0315, Florida Statutes, the final judgment provided that the property owner’s right of redemption in the property was extinguished upon the filing of the certificate of sale. As such, the right to redeem was extinguished when the certificate of sale was filed on April 11, 2014. There is no evidence that the property owner tendered payment to the Appellant at any time before April 11, 2014. In fact, the property owner admits he did not obtain the money to satisfy the judgment until April 16, 2014. At this point, the right of redemption was extinguished. 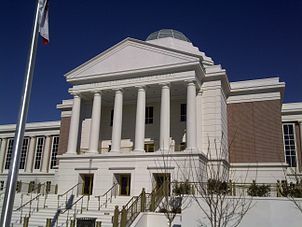 The court concluded that “the property owner fails to cite any authority for its proposition that the trial court properly acted when it granted the motion to enforce redemption after the time period for redemption had expired.” The lower court’s ruling was reversed, and the association will now retain its title to the property pending any outstanding liens by the first-mortgage holder. Our firm’s other community association attorneys and I write regularly in this blog about important court rulings and other issues for associations, and we encourage association directors, members and property managers to submit their email address in the subscription box at the top right of the blog in order to receive all of our future articles.